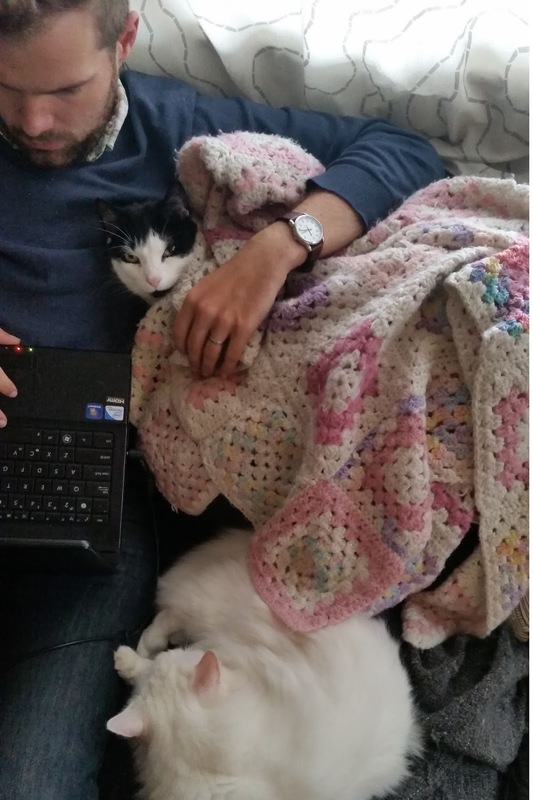 This time of year the cats are cold, and looking for any place to snuggle up to stay warm! 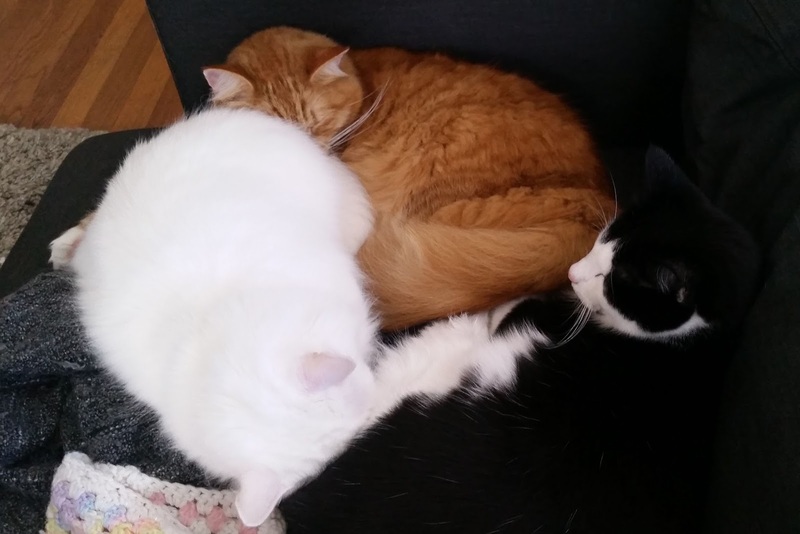 This was a rare sight of all three, cozy together. Resting their heads on each other butts! 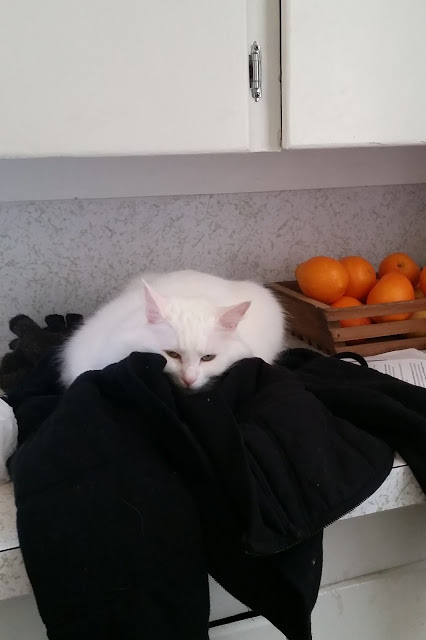 All coats left unattended are fair game.